FALLS CHURCH, Va. – March 14, 2018 – The Northrop Grumman Foundation, presenting sponsor for the Air Force Association’s (AFA) CyberPatriot X competition, is proud to congratulate the top 25 high school and three middle school teams advancing to the national finals competition, April 16-18, in Baltimore, Maryland. CyberPatriot, established by AFA, is the National Youth Cyber Education Program that's inspiring students toward careers in cybersecurity and other science, technology, engineering, and mathematics (STEM) disciplines critical to our nation's future. The program features the National Youth Cyber Defense Competition, cyber camps, an elementary school education program and a new cyber education literature series. This year's finalists represent schools and other organizations from California, Colorado, Hawaii, Illinois, Maryland, Massachusetts and Texas. Click here for a complete listing of finalists. "We applaud AFA for its success on the 10-year anniversary of the national CyberPatriot program," said Sandra Evers-Manly, president of the Northrop Grumman Foundation and vice president of Northrop Grumman global corporate responsibility. "CyberPatriot has brought youth from all walks of life together to learn about the value of protecting our nation’s data and systems as well as the ethics, teamwork and trust needed for this important program. CyberPatriot is filling the much-needed pipeline of qualified cyber talent our nation needs and we couldn't be more pleased with the program’s success. CyberPatriot continues to prove how a hands-on STEM initiative can address a national imperative and make a dramatic impact." A record 5,584 teams, up 26 percent from the previous year, competed this year in a series of online rounds where students were given a set of virtual images that represent operating systems and were tasked with finding vulnerabilities and hardening the system while maintaining critical services. Students competed from across the U.S. and in other parts of the world to be among the top finalists that receive an all-expenses-paid trip to the CyberPatriot National Finals in Baltimore. In its eighth year as presenting sponsor, the Northrop Grumman Foundation and Northrop Grumman Corporation continue to devote time, talent and resources to support CyberPatriot. In addition to the foundation's financial support, Northrop Grumman awards annual scholarship funds to the top winning teams and contributes employee volunteers and mentors. The company also provides internships to CyberPatriot competitors, as do other industry and government organizations. 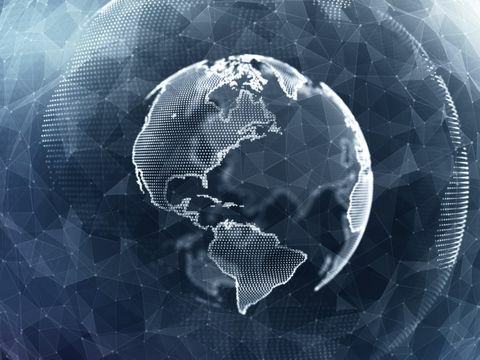 Northrop Grumman also continues to offer the successful CyberPatriot formula internationally. 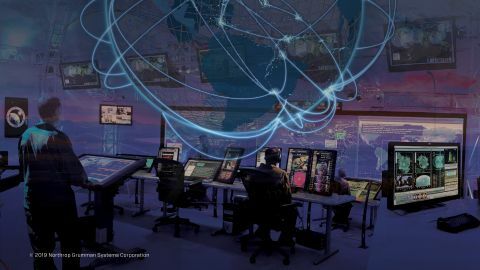 Northrop Grumman is in its fourth year partnering with Cyber Security Challenge UK on CyberCenturion, the U.K. adaptation of CyberPatriot. That program just concluded its 2018 competition. Northrop Grumman has also partnered with King Saud University, Kingdom of Saudi Arabia, on CyberArabia, designed to foster innovation in cyber security among Saudi university students. Northrop Grumman and the Northrop Grumman Foundation are committed to expanding and enhancing the pipeline of diverse, talented STEM students globally. They provide funding to sustainable STEM programs that span from preschool to high school and through collegiate levels, with a major emphasis on middle school students and teachers. In 2017, Northrop Grumman and the Northrop Grumman Foundation continued outreach efforts by contributing over $20.4 million to diverse STEM-related groups such as AFA and CyberPatriot, the REC Foundation (VEX Robotics), National Science Teachers Association, Great Minds in Stem (Viva Technology) and EarthEcho International’s Expeditions. For more information go to www.northropgrumman.com/foundation. The Air Force Association is a nonprofit, independent, professional military and aerospace education association. Their mission is to promote a dominant United States Air Force and a strong national defense, and to honor Airmen and the Air Force Heritage.